Can’t believe I was whining about the snow. Last week’s 20cm was a light dusting in comparison to Thursday’s 30cm. 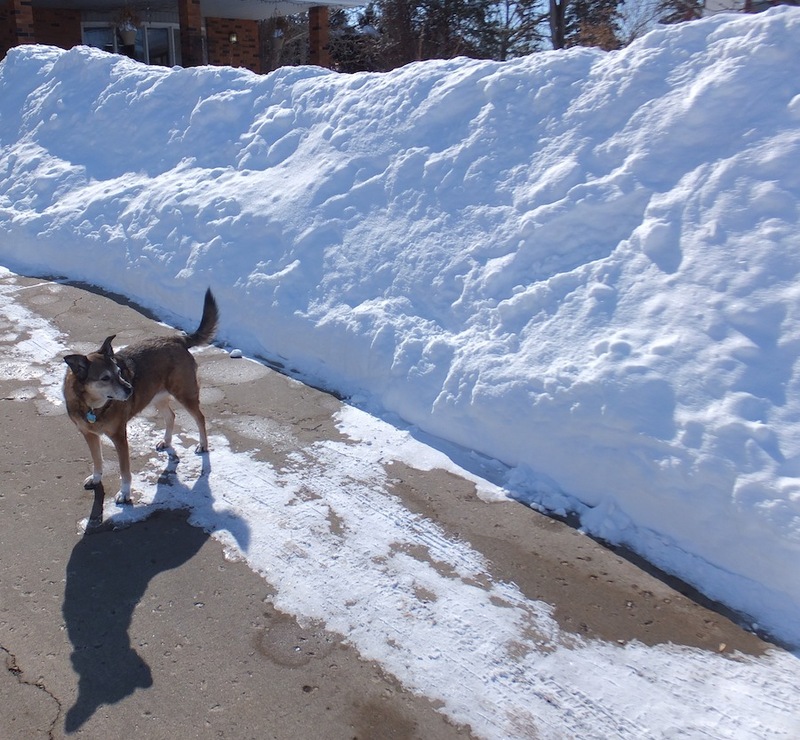 I’ve never seen that much snow, or should I say…shoveled that much snow. Unbelievable. The banks along the driveway are now higher than six feet, or about a foot higher than I can comfortably throw snow. 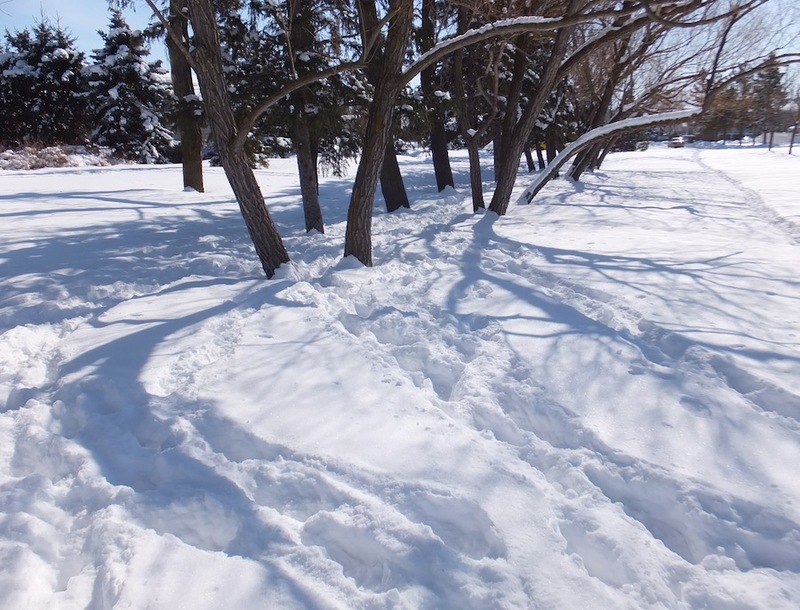 My walk from the bus on Thursday afternoon consisted of choosing the lesser of two evils: unshoveled sidewalk or a non-existent path through the park, which is normally the quicker route. I chose the park. It really didn’t matter, I was up to my knees in snow either way, but I did fail in my attempt to get out of the park unscathed. I fell, but it was like falling between two duvets. Not hurt, but I was covered from head to foot in snow. Did a full-on upside down turtle on the ‘sidewalk’ as I tried to right myself with a heavy backpack. Not my best moment. 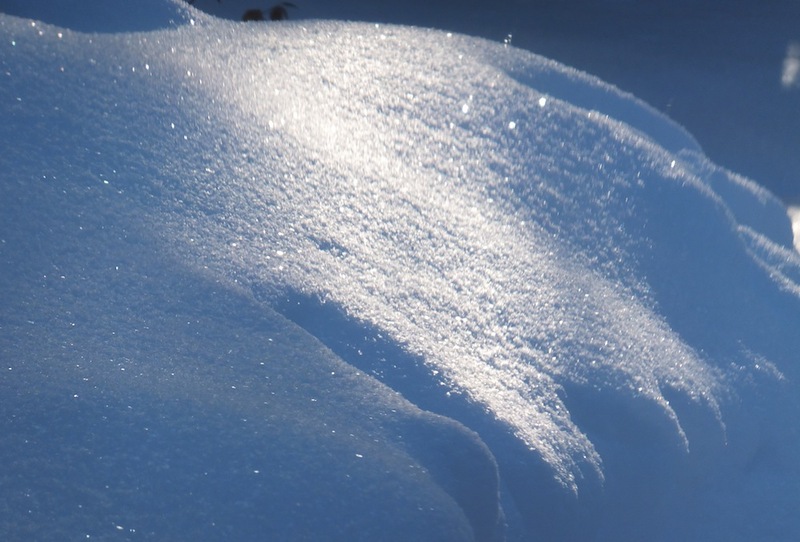 As I said this morning in my 32 Pages blog post about spring (or lack thereof): In celebration of the first day of spring, the sky unfurled a massive, white party favour, dropping 30cm of snow over an already thickly blanketed landscape. 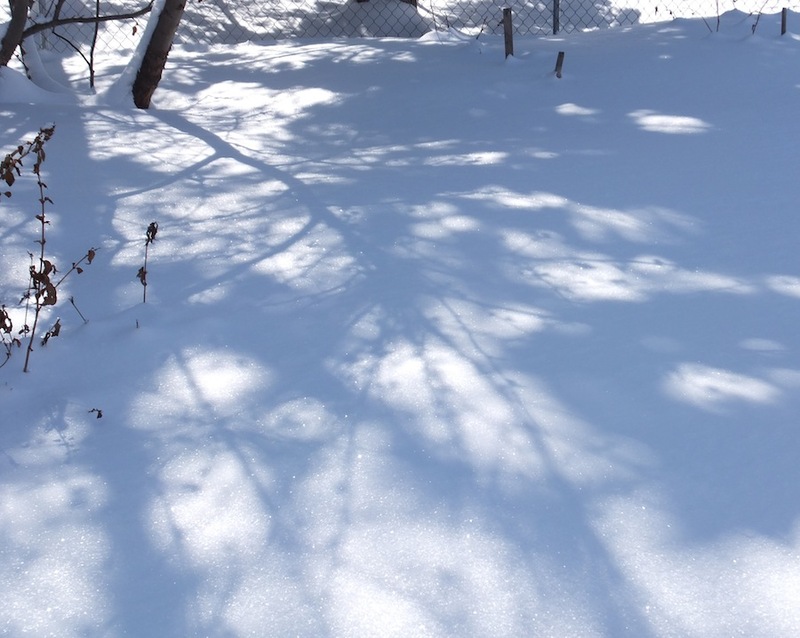 It was an extravagant display of spring’s absence, in other words, and it will be another month before the ground clears and the grass begins to blush a tentative green. Hard to believe this will ever melt, but yes, it is pretty.